Do you have a large space that is not being used efficiently? Did you know that you can turn that space into a special clean room or almost any type of room? That is exactly what can be accomplished quickly, cheaply, and efficiently with a modular cleanroom mezzanine? 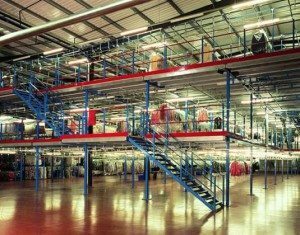 What Is A Modular Cleanroom Mezzanine? If you need a special cleanroom, you do not not need to add onto your current property or build a new building. In fact, if you have a high ceiling at your current production facility, you might be able to simply install this room right over your current work space. Imagine how convenient it will be to simply climb a short flight of stairs or even take a small elevator up to your modular room. These are called mezzanines because they are installed over the top of the work space. This means that you can have extra space without needing to purchase or rent extra square feet. So, picture a platform that has been constructed over your factory floor. That platform might be accessible with a ramp, ladder, stairs, or even an elevator. The choice depends upon your needs. 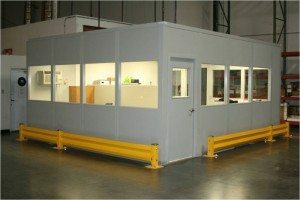 This platform can be installed to contain a cleanroom, classrooms, offices, or almost any other type of room. Because the are modular, you can even change the room’s use as your needs change too. In fact, you can even expand the platform to enlarge a room or add more rooms as your business grow. This is simply one of the most flexible ways to add extra capacity to your existing room, and you will see that is is a very safe, inexpensive, and quick solution too. Imagine having to wait months for a building project to be completed. The construction work will also probably disrupt your normal business, and that can force you to lose money and time. When you purchase a modular system, all that waste and inefficiency is a thing of the past. You simply work with the company that produces these modular rooms to develop the right modular cleanroom mezzanine for your business. Once you have approved all of the pans, including C.A.D. drawings, the product will be produced in a factory according to strict and precise methods. This is a very fast and efficient process, and you will not have your own business disrupted at all. After they are manufactured, each piece will be carefully inspected and examined by trained quality control experts. Only then, will they be released to you. Once the parts are designed and approved, they will be delivered right to your own work site by truck. Trained technicians will arrive, and they can properly install the parts within a few hours or a few days. The time involved depends upon the size and scope of the project, and you will be aware of the deadlines in advance. Are These Cleanrooms Up To Code? You can select from a variety of cleanrooms. They do provide an environmentally controlled environment. The clean levels can be from ISO Class 1 thru Class 8. This also translates into Class 100,000 to Class I. They can also come with precise humidity and temperature controls. Each modular room will be designed to conform to the exact specifications that our customers provide us with, and our technicians will not consider the project finished until you have assured them that you are completely satisfied. Hopefully, you will be so satisfied with these cleanrooms that you will consider using modular systems for other types of rooms too. You can also order different types of modular offices, employee break rooms, and classrooms. The cleanrooms do not have to be mezzanine types either. You can also have these modular units set up on your main floor, and you can also get stand-alone manufactured buildings that can be set up just as efficiently. Why Not Take Advantage Of Modular Building? You can get exactly what you ordered without the waste and expense of constructing or renting new space. The new rooms can also be conveniently located right by your work space. These modular solutions are the smart choice of 21st century businesses everywhere, and they can be your choice too.